This level has hard difficulty. For this level try to play from top part of the board and make special candy. 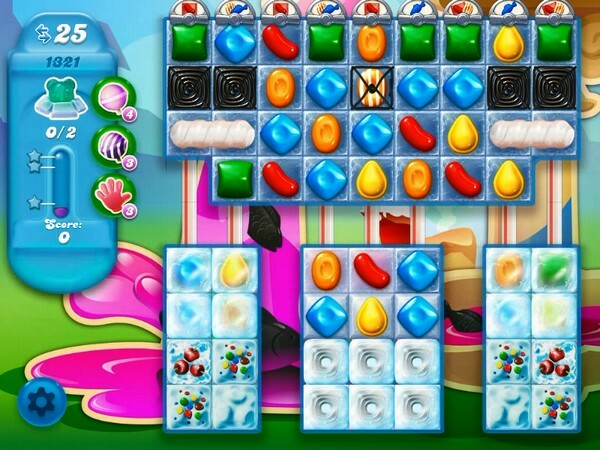 Combine special candies with each other to break more blockers or play near to blockers to break them all. My format does not have horizontal candy sticks. This is the most frustrating level. My board doesn’t have horizontal candy stripes either. Just half vertical ones that don’t do anything! Does anyone know when/if they’re going to update or fix this? Only got 15 moves. Getting fed up of getting less moves than should have. Not going to bother playing anymore.